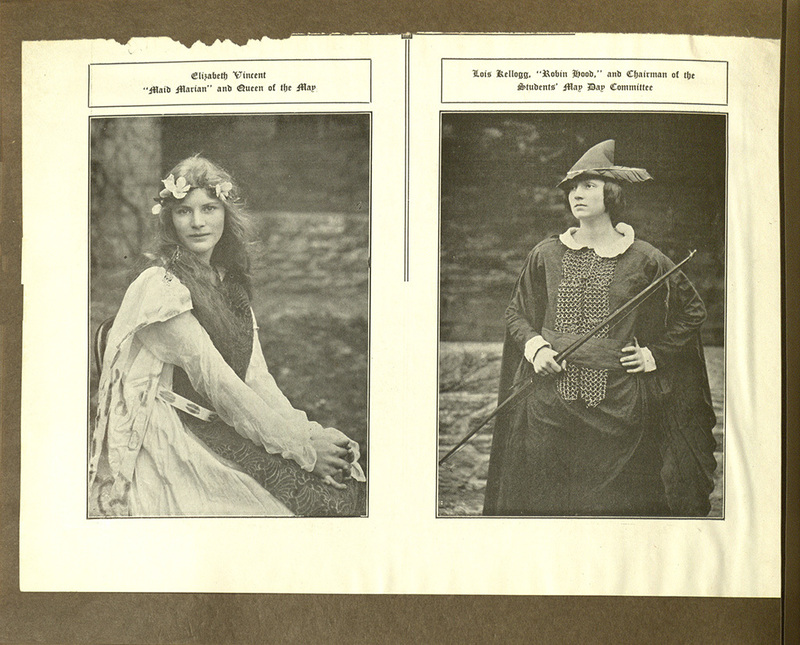 A cutout of "Ye Bryn Mawr College News" from 1920 featuring Marion Frost's photography. The original, glossy prints of these images appear on the following pages. Though the photographs and sketches do not have Marion Frost’s signature attached to them, they are her own pieces of work. Perhaps most suggestive of this is the inclusion of the original prints of the photographs featured in “Ye Bryn Mawr College News”. The newspaper highlights the celebrations around May Day 1920 and features the year’s May Queen and Sacraphant. The pages following the newspaper cuttings feature blown-up, glossy copies of the images used in the newspaper. The duplication of the images within the scrapbook itself, as well as the professional quality of the larger images, suggest that Frost was the photographer behind these images. Furthermore, the fact that Frost's images were included in the college newspaper imply Frost's position as a photographer and by extension, an artist. 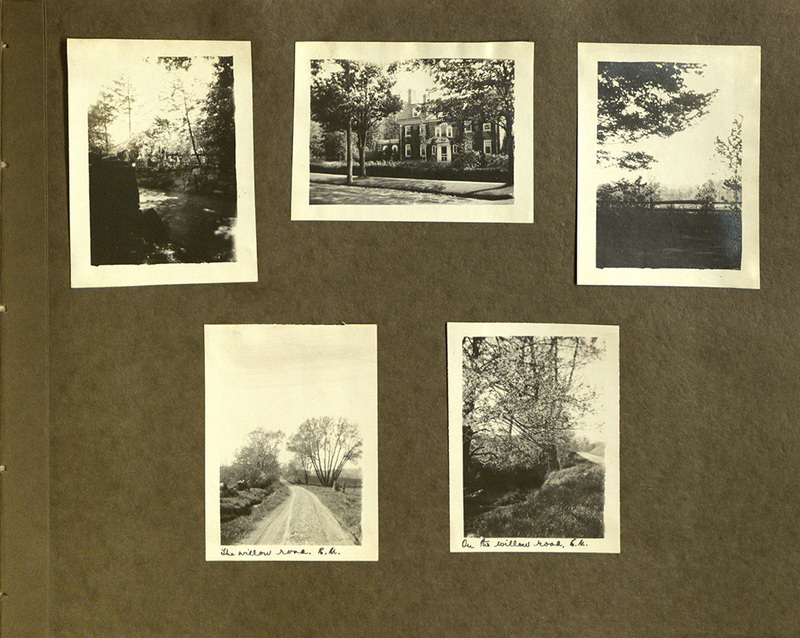 The bottom two photographs on this page feature Marion Frost's annotations that reveal where the photos were taken: Willow Road, Bryn Mawr. In addition, certain images include annotations. For example, in one of her annotations, Frost writes “… from my room at school”. The inclusion of this text in Frost’s own handwriting suggests their personal nature: these photographs were taken from her viewpoint – the camera lens through which she viewed Bryn Mawr’s architecture. While this personalizes her scrapbook in a way, the tone of these annotations remain rather formal. This further asserts the idea that this scrapbook was meant for a public audience: while there is a sense of the "personal", Frost's personal life still remains at a distance from her work.